A.H. Systems' set of H-Field Rods provide an accurate standard for magnetic field testing. 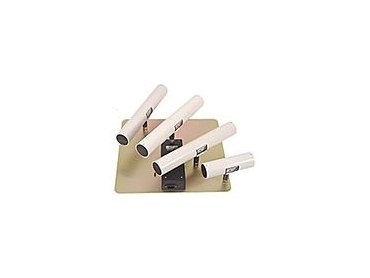 The antenna rods are available individually or in a set of four to cover the frequency range of 100 Hz to 30 MHz. One amplifier pre-assembled to a metallic ground plane covers the entire frequency range and can be used with any or all of the H-Field Rod elements. H-field rod antenna is available from Test & Measurement Australia .